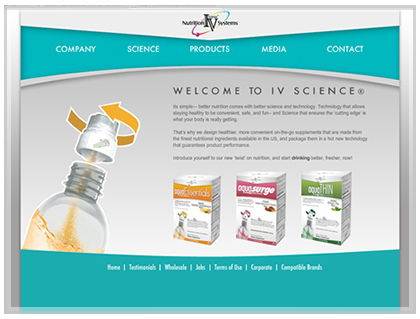 IV Science was launching their new product to market. Getting the message through of how their clever drink caps work was critical. We used flash web design to animate the drink caps in action. In addition to custom flash animations we assisted with product branding and creative.